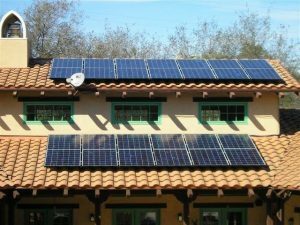 Why Solar Energy Installation Is Not a DIY Task | Sierra Pacific Home & Comfort, Inc. There are many enticing tax incentives for choosing to install solar energy. That’s no secret—it’s one of the main reasons that people are willing to pick up solar energy! Of course, anything to do with taxes comes with a long list of specific details and stipulations. One of them, more often than not, is that your solar energy system must be installed by qualified solar experts in Sacramento. Going through the effort of performing a DIY installation could end up with you missing out on one of the best reasons for going solar in the first place. On that note, don’t hand your money over to anyone who isn’t a professional contractor. California has seen many scams surrounding solar energy panels, including those who will try to install your panels without a signed contract (then they’ll raise the price on you later). Any work with electricity is just plain dangerous, no matter who you are. Solar panel work is no exception, as it includes DC electricity, battery banks, and more. Plus, working on a rooftop brings its own dangers. And it’s not just about the physical work, either. You need the extensive knowledge of electrical codes to ensure that everything is being performed to the right standards. Many states take issue with DIY electrical systems and won’t allow you to tie them into the grid as a backup. Even if the state is OK with it, you’ll still need to pass their inspection and testing. Some may think that instead of trying to do all the work themselves, they’ll buy their own panels for cheap and then have a contractor install them. There are big problems with this, however. Quality is huge: A solar panel is not something you necessarily want to get at a discount. Solar panels are lasting investments, after all, so you don’t want to settle for something of low quality. Pros don’t work with your equipment: The professionals are adept at installing the solar panels that they have experience with. You’ll be hard-pressed to find a contractor who happens to install the panels you want. Don’t trouble yourself with DIY solar energy installation. Instead, contact Sierra Pacific Home & Comfort, Inc. The Guys in the Big Red Trucks.